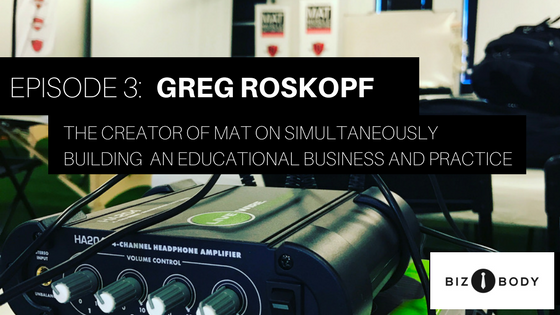 Greg Roskopf shares his experience creating a company, one lesson at a time. Most practitioners go to school, gain some experience under a mentor, and model their practice after those that came before them. Then their are others that try to break that mold, because it never fit them to begin with. Got a business plan? Nope. Know what your curriculum looks like? Not until the binder is created for the next class. Greg uses "just in time" learning, hiring, and content creation, to put constraints on time and deliver his best work. When you believe in what you are creating, you can get lost in the journey. We discuss his vision of MAT, and who helps him make that vision a reality.